Barton Simmons, Tom Fornelli and Chip Patterson discuss takeaways from spring ball. First, how Justin Fields looked in his first spring game with Ohio State (1:50), takeaways from seeing a new offense on display at Michigan (12:00) and the ceiling for Jalen Hurts and Oklahoma (23:20). Plus, Dan Mullen's impact on Feleipe Franks (33:04), what Tennessee needs to make a jump in the SEC East (41:00), Cam Newton comparisons coming out of Auburn (46:15) and other notes from Texas A&M, Miami and Penn State (50:55). Barton Simmons and Chip Patterson talk Clemson, USC, LSU and more in this spring game recap. First, how Clemson has reloaded (3:00) and if there might be a Clemson fatigue coming (11:00). Then, what the new offense looks like at USC (18:00), what to expect from Joe Burrow in year two at LSU (22:55) and notes from Ole Miss, South Carolina and more (32:00). Barton Simmons and Chip Patterson check in on the latest from spring practice across the country. First, reviewing Barton's scouting trip to Amsterdam (4:00) and why the offensive coordinator changes at USC and Michigan could have an impact on all of college football (15:00). Then, checking in on the potential freshman quarterback starters at Auburn (32:00), Arizona State (37:32) and North Carolina (45:00). Dennis Dodd joins Barton Simmons and Chip Patterson to discuss the biggest stories from spring practice. First, what Dennis learned on his trip to Norman to meet new defensive coordinator Alex Grinch (3:00) and what to expect from Oklahoma in 2019 (8:20), how Missouri won the attention of Kelly Bryant (11:01) and the many unknowns in the SEC East (14:31) and how things are going for Les Miles so far at Kansas (19:56). Plus, a status update on the Pac-12 after another year without a title contender (25:10). Barton Simmons, Tom Fornelli and Chip Patterson talk players and programs that starred at the NFL Combine. First, what led to Florida State's assistant coach snafu and what it means for the Seminoles (3:30), whether DK Metcalf helped or hurt his draft stock with his combine performance (12:47) and awards for the strength and conditioning programs that shined during the drills (30:17). Then, why Quinnen Williams deserves consideration as the top defensive player in the draft (38:25) and whether Kyler Murray's reported interview performance matters for his pro success (46:50). Barton Simmons, Tom Fornelli and Chip Patterson compare notes with the NFL Draft chatter at the Combine. First, a clear-eyed assessment of Kyler Murray and the hysteria around his rise (2:35), including how he and others have already broken the QB mold on the recruiting trail for college teams (11:50). Then it's on to wide receivers (16:33), why Ed Oliver's ability should quiet concerns about motor (23:55), the potential ceiling for Drew Lock (31:22) and some of our favorite prospects to keep an eye on in the draft process (42:06). Barton Simmons and Chip Patterson compare who had the best and worst offseason in college football. After a brief discussion trying to identify the Zion Williamson of college football (3:00), the offseason analysis begins with a typical Clemson offseason (5:34), tons of turnover at Alabama (8:20), why Oklahoma had the best offseason (20:03) and how Tennessee won the assistant coaching carousel (29:20). Then, what Justin Fields' move means for Georgia (34:07) and Ohio State (37:20), how USC responds from offseason setbacks (51:15) and more, including grades for Miami, Auburn, Oregon, Virginia Tech and Florida State. Barton Simmons and Chip Patterson break down the winners and losers from February's National Signing Day. First, thoughts on the impact of the Early Signing Period on 2019 and beyond (2:39), Florida State's uncharacteristic struggles on the trail (6:00) and the cost of being picky at UCLA (14:04). Plus, Florida as one of the day's big winners (18:45) along with Tennessee (22:40) and the SEC battles that defined the day (30:45), including big wins for Alabama and Georgia. Barton Simmons, Tom Fornelli and Chip Patterson draft college football teams based exclusively on players in the transfer portal. Tune in to find out what quarterback was taken first and who didn't pick a quarterback in the first round (3:51), the pros and cons to Tennessee picking up former five-star Aubrey Solomon (10:55), the former Penn State and USC linebackers taken early in the draft (16:15) and hear a discussion on the different reasons for players transferring (21:00). Plus, the high-ceiling Oklahoma State wide receiver that caught Barton's eye (28:43), Tom's defense of a trenches-first drafting technique (35:28), the former Florida State player to start Tom's run on the skill positions (44:53) and Justin Fields' team getting the top running back available late in the draft (53:20). Finally, Barton, Tom and Chip run through their 22-man rosters with a pitch to their listeners that their team is the ultimate Transfer Portal champion (1:15:05). Barton Simmons and Chip Patterson break down every coaching change of the 2018-19 offseason. The hires are ranked 1-26 and every ceremonial press conference gets a grade. After getting things rolling with a couple of new faces in the MAC and Tyson Helton's return to WKU (2:40), Les Miles' hire at Kansas is put under the microscope (13:36). That's followed by a spotlight on new hires at UMass (17:37), Texas State (20:54) and Temple (22:37), Mack Brown's return to Chapel Hill (25:49), Chip Lindsey's enthusastic introduction at Troy (30:54), Matt Wells' charm at Texas Tech (42:44) and Jim McElwain's return to ranks of the head coaches at Central Michigan (48:40). Plus, Geoff Collins' fit at Georgia Tech (52:45), Neal Brown channeling Dabo Swinney at West Virginia (58:30), Holgo at Houston (1:03:07), Manny Diaz at Miami (1:07:10) and Hugh Freeze's ceiling with Liberty (1:10:25). Barton Simmons and Chip Patterson discuss Jalen Hurts' move to Oklahoma and more. First, why Hurts' decision to join the Sooners is the perfect fit for both sides (5:07) and Lincoln Riley's about-face on blocking Austin Kendall's transfer to West Virginia (15:45). Then, how free movement of elite quarterbacks makes the sport, as a whole, better (22:13), what Tate Martell brings to Miami (31:43) and Nick Saban has yet another position to fill after the departure of defensive coordinator Tosh Lupoi (40:11). Barton Simmons and Chip Patterson are joined by Dennis Dodd to react to Kyler Murray declaring for the NFL Draft. First, the latest from the 2019 recruiting cycle and why the Early Signing Period has proven to be more advantageous for coaches than players (2:35), Jalen Hurts visiting Miami, Maryland and Oklahoma (11:12), the latest on the assistant coaching carousel (16:08) and teams most impacted by the NFL Draft early entry deadline (34:29). Then Dennis Dodd joins the show to talk Kyler and whether the spread revolution is wrapping up or just beginning in the NFL (44:25), share what Baylor coach Matt Rhule told his team about NFL interviews and explain what the 2018 season-long statistics across the country say about the best offenses in college football (1:03:20). Barton Simmons and Chip Patterson update the coaching carousel and track the latest transfer news in college football. First, what's next for USC after Kliff Kingsbury's exit to the NFL (1:49) how it impacts Kyler Murray's NFL Draft future (11:20). Then, what it means for Jalen Hurts and others to be in the transfer portal (24:47), what's next for Georgia and Tennessee after Jim Chaney's return to Knoxville (36:55) and the latest on from a never-ending assistant coaching hiring cycle (45:18). Barton Simmons and Chip Patterson recap Clemson's national championship game win against Alabama on Monday night. Recorded in Levi's Stadium (1:51), the conversation covers why Alabama lost (6:30), why Clemson won (9:07), Trevor Lawrence fulfilling championship potential (14:51), whether we should consider this the beginning of the end for the Nick Saban Alabama dynasty (23:27) and much more. Barton Simmons and Chip Patterson preview Alabama and Clemson in the College Football Playoff national championship game. As Chip checks in from the scene in California, Barton starts the show off with observations and news from the All-American Bowl in San Antonio (1:45). Then its onto the biggest news of the week with Justin Fields' transfer to Ohio State (7:18) and West Virginia hiring Neal Bown as Dana Holgorsen's replacement (17:20). Then the title game preview (22:55), including a breakdown of the quarterback battle (36:00) and why Nick Saban is already the GOAT even if he doesn't win his seventh title on Monday night (41:55). Barton Simmons and Chip Patterson react to the latest from the coaching carousel and more. First, the keys to Manny Diaz succeeding at Miami (3:40), why Dana Holgorsen's hire at Houston works for all involved parties (14:11), what coaches are receiving NFL interest (23:21), whether there are any big-picture takeaways from Texas' Sugar Bowl win against Georgia (36:08), and many more highlights from the bowl season. Barton Simmons and Chip Patterson recap the College Football Playoff semifinals in the early Sunday morning hours after a long day of coverage from the Orange Bowl. First, how Tua might have pulled the wool over our eyes with his health status updates, the future outlook for Oklahoma and whether the scoreboard in Alabama's 45-34 win represents the game that played out on the field. Then, wondering what Notre Dame's ceiling might be after its 30-3 loss to Clemson in the Cotton Bowl. Barton Simmons and Chip Patterson are live in Fort Lauderdale to preview Alabama and Oklahoma in the Orange Bowl. First, after an embarrassing loss to Wisconsin what is next for Miami and Mark Richt (6:15), why Kyler Murray NFL Draft talk has been a major storyline this week (23:30), what to expect from a banged up Tua Tagovailoa (34:03) and the one area where the Sooners has a clear advantage in the game (45:18). Barton Simmons, Tom Fornelli and Chip Patterson lay out their best against the spread picks for the College Football Playoff and New Years bowl games. Barton and Chip are reporting from the road as the guys run through Purdue-Virginia, Syracuse-West Virginia, Iowa State-Washington State, Florida-Michigan, Virginia-South Carolina, Alabama-Oklahoma, Oregon-Michigan State, Texas A&M-NC State, Penn State-Kentucky, Iowa-Mississippi State, Texas-Georgia and more. Barton Simmons and Chip Patterson report back from on-campus visits to both Cotton Bowl playoff contenders. First, reacting Kendal Briles hire at Florida State (3:00), attrition on the field and sideline at Miami (15:26), Dexter Lawrence's failed drug test (23:00), how Clemson's playoff experience is an advantage (30:40), how the Notre Dame team changed after Ian Book took over as the starting quarterback (36:27), where the Irish have an advantage in the matchup (42:55) and more. Barton Simmons, Chip Patterson and Tom Fornelli make picks for the first 8 bowl games of the 2018-19 season. First, a breakdown of how to factor motivation in your picks (2:08), with important notes on coordinator changes at Tulane (5:00), Utah State's skeleton staff (9:23), Arizona State's missing NFL-bound star (13:33) and USF not having to travel at all for the bowl game (25:20). Then it's on to the picks, with locks and leans for Tulane-Louisiana (28:00), Utah State-North Texas (30:24), Fresno State-Arizona State (34:59), Eastern Michigan-Georgia Southern (40:31), Appalachian State-Middle Tennessee (43:19), UAB-Northern Illinois (45:00), San Diego State-Ohio (47:10) and USF-Marshall (48:30). Barton Simmons and Chip Patterson discuss the latest from the coaching carousel and turn their attention to next week's Early Signing Period in recruiting. First, Heisman Trophy reaction (1:51), thoughts on the CBS Sports All-America team (4:14), why Geoff Collins is a great hire for Georgia Tech (11:26), the divisions of interest in the Kansas State football family (20:28), Dan Enos' promotion to the head coaching launching platform at Alabama (29:15), a new offensive staff at Auburn (35:20) and the first look at next week's Early Signing Day (41:43). Tom Fornelli joins Barton Simmons and Chip Patterson to break down the latest in college football coaching and transfer news. First, a review of the regular season locks competition (1:33) and collection for our preseason over-under win totals picks (9:50). Then, reaction to the news of Kelly Bryant transferring to Missouri (14:55), debating how long it will take Scott Satterfield to turn Louisville into an ACC contender (23:36), thoughts on Mike Locksley to Maryland (33:32), Colorado getting a mostly-blind thumbs up on the Mel Tucker hire (42:00), new UMass head coach Walt Bell and new Charlotte head coach Will Healy as young stars on the rise in the industry (47:21) and under-the-radar bowl games to circle on your holiday calendar (55:48). Barton Simmons and Chip Patterson provide instant reaction to Urban Meyer's retirement as Ohio State's coach. First, why the recruiting calendar and the Early Signing Period played a crucial role in the timing of this announcement (1:25), how Urban Meyer set the tone for recruiting in the modern era in the early 2000s (9:38), comparing Ryan Day's hire at Oho State to Lincoln Riley at Oklahoma (11:38), what to expect from Day and the Buckeyes immediately and what's next for Meyer (19:30) and listener questions, including 2019 recruiting impact and what's next for Greg Schiano (27:45). Barton Simmons and Chip Patterson react to the College Football Playoff and highlight the best bowls for the 2018-19 postseason. First, why our eyes, and the eye test can't be trusted (1:00), the most enticing bowl matchups (13:01), takeaways from Alabama's epic comeback against Georgia (23:30) and Oklahoma's revenge win against Texas (35:58). Plus, thoughts on Clemson and reasons to believe we are experiencing a golden era in college football (48:20). Barton Simmons, Chip Patterson and Tom Fornelli conclude the regular season of their competition with championship week picks. This week's card includes breakdowns and picks for Washington-Utah (7:45), Alabama-Georgia (13:30), Oklahoma-Texas (19:55), Ohio State-Northwestern (32:00), Boise State-Fresno State (38:50), Clemson-Pitt (41:15), UCF-Memphis (48:58) and more, including action on Saturday's make-up games at South Carolina and Virginia Tech. Barton Simmons and Chip Patterson break down Mack Brown's hire at North Carolina and the College Football Playoff race. First, reacting to the new College Football Playoff rankings and a preview of the different scenarios involving the three-way battle for fourth between Georgia, Oklahoma and Ohio State (1:30). Then, whether Memphis can end UCF's 24-game winning streak (9:38), why Mack Brown and North Carolina need each other right now (19:15), wondering if Gus Malzahn's long-term fate at Auburn is already sealed (37:10) and if USC can actually fix its issues by hiring new assistants for Clay Helton (47:00). Barton Simmons and Chip Patterson break down Week 13 and the latest head coach firings in college football. Up first is yet another reassessment of Ohio State's playoff chances following its statement win against Michigan (2:00) and what the result says about the Wolverines (12:00), then it's on to Oklahoma and Washington's Friday night wins (24:00), USC's decision to keep Clay Helton (30:00), the many twists and turns in Texas A&M's seven-overtime, 74-72 win against LSU (42:00) and reaction the firing of Larry Fedora at North Carolina and Kliff Kingsbury at Texas Tech (54:00). Barton Simmons, Chip Patterson and Tom Fornelli of SportsLine fame make against the spread and over under picks for Week 13 in college football. This week's show breaks down Oklahoma-West Virginia (8:30), the Egg Bowl (13:15), Virginia-Virginia Tech (17:20), the Iron Bowl (19:30), Notre Dame-USC (22:15), Florida-Florida State (27:45), Texas A&M-LSU (34:00), Michigan-Ohio State (41:00) and much, much more. Barton Simmons and Chip Patterson break down the College Football Playoff picture. First, UCF makes a move (4:30), preview of Friday's action between Oklahoma and West Virginia and Washington at Washington State (12:30). Then Dennis Dodd joins the show live from Kansas State to share what Les Miles told him on the day he was introduced at Kansas (28:00), candidates for Colorado and the potential USC opening (35:00), future of Bill Snyder with the Wildcats (42:00) and much more. Barton Simmons and Chip Patterson recap Week 12 in college football. First, Ohio State as the least attractive 10-1 team in the country (2:00), Notre Dame living up to its title-contending billing (15:30), if UCF's win against Cincinnati changes its playoff status (27:30), Major Applewhite vs. Ed Oliver (30:30), Les Miles' hire at Kansas (36:45) and where Colorado might look next after parting ways with Mike MacIntyre (43:00). Barton Simmons, Chip Patterson and Tom Fornelli of SportsLine fame make against the spread and over under picks for Week 12 in college football. This week's locks show breaks down Texas A&M-UAB (10:30), Notre Dame-Syracuse (15:45), West Virginia-Oklahoma State (21:30), UCF-Cincinnati (25:00), Nebraska-Michigan State (28:00), Miami-Virginia Tech (33:00), Boston College-Florida State (36:30), Vanderbilt-Ole Miss (44:30) and many more of the best games and picks from Week 12. Episode brought to you by ZipRecruiter. Barton Simmons and Chip Patterson provide instant reaction to the new College Football Playoff rankings. First, debating if the top six is going to hold (2:30) how to stack up the best Group of Five teams (7:00) and a reassessment of Ohio State's playoff chances (11:30). Plus, how to view Iowa State and it's Big 12 chances ahead of Texas (18:50), Ian Book returning for Notre Dame-Syracuse (28:00) and Zach Smith drama continues for Ohio State (41:00). Barton Simmons and Chip Patterson recap Week 11 in college football. First up is Bobby Petrino's firing at Louisville and what's next for the Cardinals (2:00), Alabama looking mortal against Mississippi State (10:00) and how the Tide stack up against the likes of Georgia and Clemson (20:00). Plus, why its so hard to hang on to Clay Helton at USC (28:00), Oklahoma's argument as one of the best teams in the country (34:00) and what we learned from Ohio State in relation to its matchup with Michigan at the end of the year (39:00). Barton Simmons, Chip Patterson and Tom Fornelli of SportsLine fame make against the spread and over under picks for Week 11 in college football. Games included in this week's locks include Alabama-Mississippi State (7:30), Syracuse-Louisville (13:45), Georgia-Auburn (20:30), Clemson-Boston College (24:00), Texas A&M-Ole Miss (26:45), Kansas State-Kansas (32:30), Miami-Georgia Tech (35:00), Ohio State-Michigan State (39:30), Oklahoma-Oklahoma State (49:30), Notre Dame-Florida State (53:15) and many more. Barton Simmons and Chip Patterson offer live reaction to the new College Football Playoff rankings. First Barton and Chip discuss the new top 25 from the committee predict what school will get left out on Selection Sunday (2:30), then Dennis Dodd joins the show, breaking down Alabama-LSU and discussing what he learned meeting Tua Tagovailoa's family (22:00), whether Les Miles is interested in the Kansas job (28:00) and other predictions from the upcoming coaching carousel (40:00). Barton Simmons and Chip Patterson are joined by former All-Ivy League OL and NFL player Ross Tucker to talk all things college football. First, Barton and Chip discuss Willie Taggart shaking up the responsibilities on his coaching staff (5:00) and whether Washington State should be on upset alert at Colorado (8:15). Then Ross Tucker joins the show to preview Penn State-Wisconsin and diagnose why both teams haven't met expectations (14:40), discuss why quarterbacks are more prepared for to play early (28:30) and the many NFL teams that might be interested in Lincoln Riley this offseason (39:00). Barton Simmons and Chip Patterson recap Week 10 action in college football. The conversation starts with what we learned from Alabama's win against LSU (2:00) and where the Tide might find competition between now and the end of the regular season. Then it's on to what Barton saw from Georgia and Kentucky (10:30), if Clemson is on Alabama's level (25:00), how to compare Notre Dame and Oklahoma (38:45) and much, much more. Barton Simmons, Chip Patterson and Tom Fornelli of SportsLine fame make against the spread and over-under picks for Alabama-LSU and rest of the Week 10 slate in college football. 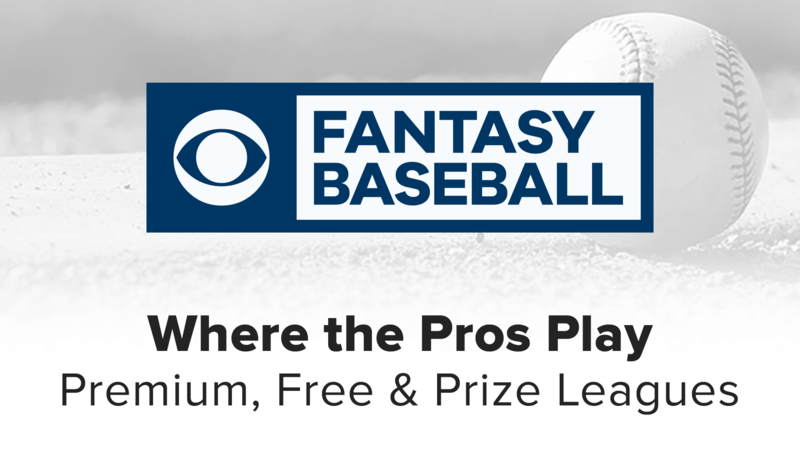 Tune in for breakdowns of Florida-Missouri (6:30), Alabama-LSU (10:25). Georgia-Kentucky (18:30), Texas-West Virginia (25:20), Miami-Duke (31:00), Army-Air Force (33:45), Washington-Stanford (35:15), Notre Dame-Northwestern (39:00), FIU-FAU (42:25), Ohio State-Nebraska (54:00) and many more. Episode brought to you by ZipRecruiter.com. Barton Simmons and Chip Patterson provide instant reactions to College Football Playoff rankings and discuss the biggest news of the week. First what we learned about the committee on Tuesday (2:00) then putting Notre Dame on upset alert (16:30), DJ Durkin's return to Maryland (25:00), Urban Meyer addressing his future with Ohio State (37:00) and Clay Helton changing things up at USC (47:00). Barton Simmons and Chip Patterson react to a weekend of shakeups in college football, including Oklahoma State's win against Texas and Clemson's rout of Florida State. First is a debate of whether FSU would be any better off with Jimbo Fisher right now (3:00), what we've seen from Clemson to solidify contender status (12:30), how we think fights would really play out between Mike Gundy-Tom Herman and Dan Mullen-Derek Mason (20:30), Texas' realm of Back-ness (22:30), the Georgia-Kentucky SEC East title game we've always asked for (28:00), Penn State's place in a wild Big Ten (45:00) and much, much more. Barton Simmons, Chip Patterson and Tom Fornelli of SportsLine fame lay out their card of locks for the weekend ahead in college football. There's no love lost on this tense, Lock Fight-filled episode, which focuses in on Texas-Oklahoma State (8:00), Miami-Boston College (14:30), Mississippi State-Texas A&M (20:45), Louisville-Wake Forest (25:00), Georgia-Florida (28:45), Michigan State-Purdue (34:00), Clemson-Florida State (40:00), Houston-South Florida (45:00), Notre Dame-Navy (50:00) and many more games from the weekend slate. Barton Simmons and Chip Patterson are joined by Sports Illustrated's Andy Staples to talk Urban Meyer, Florida-Georgia and more. First, breaking down Jalen Hurts' minor injury (6:00), a bad week for TCU (12:00) and what Texas can prove at Oklahoma State (19:00). Then Andy joins the show to share some of his favorite memories from Florida-Georgia (26:00), diagnose what's wrong at Ohio State (29:45), point out what Dan Mullen has done that's worked so well (39:00) and help figure out where Notre Dame fits in the national title picture (45:40). Barton Simmons and Chip Patterson break down the big takeaways from Week 8, starting with Ohio State's loss at Purdue. While the playoff is still on the table for the Buckeyes, Barton and Chip wonder if the flaws that Purdue exposed could limit their ability to run the table (3:00). Plus, what this win means for Jeff Brohm (18:00) and why Michigan looks ready to make its run at the Big Ten title (23:00). Then it's on to other notable headlines from Oklahoma (27:30) and Clemson (30:00), Jeremy Pruitt's comments about his team (35:00) and the Pac-12 North title race (49:30). Barton Simmons, Chip Patterson and Tom Fornelli of SportsLine fame lay out their card of locks for the weekend ahead in college football. Tune in for against-the-spread and over-under breakdowns for Clemson-NC State (9:30), Ohio State-Purdue (21:30), LSU-Mississippi State (29:00), Michigan-Michigan State (40:30), Nebraska-Minnesota (46:30), USC-Utah (49:00), Washington State-Oregon (52:30), Auburn-Ole Miss (58:15) and much, much more. 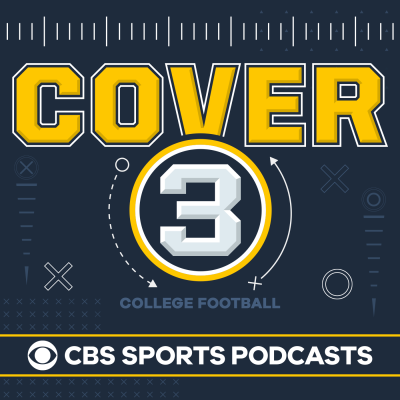 Barton Simmons and Chip Patterson are joined by CBS Sports senior college football columnist Dennis Dodd to discuss tough times at Auburn and preview Michigan-Michigan State. Barton and Chip open the show with a way-too-early playoff debate: will a two-loss make the playoff (3:00)? Then Dennis joins the show to break down the unrest about Gus Malzahn at Auburn (17:00), why Hate Week is the best for Michigan-Michigan State (30:15) and what he learned spending time with Seth Littrell at North Texas (35:00). Episode brought to you by ZipRecruiter.com. Barton Simmons and Chip Patterson discuss injury news from across the country and highlight selections from their Midseason All-America ballots. Conversation topics include Nick Bosa withdrawing from Ohio State (6:00), Gus Malzahn under fire at Auburn (14:00), some big injury news at Oregon ahead of another huge Pac-12 North game (20:00) and a breakdown of both ballots submitted for the CBS Sports Midseason All-America team (31:30). Barton Simmons and Chip Patterson recap an upset-filled week in college football. Topics include Michigan State making us look foolish (3:45), what to make of Georgia and LSU after the Bulldogs loss in Death Valley (16:45), major shifts in the Big 12 outlook (26:50), the big takeaways from Oregon-Washington (38:00) and much more. Barton Simmons, Chip Patterson and Tom Fornelli of SportsLine fame lay out their card of locks for the college football weekend. Tune in for against the spread and over/under breakdowns for Washington-Oregon (9:00), Georgia-LSU (16:30), Northwestern-Nebraska (21:45), Miami-Virginia (28:00), Michigan-Wisconsin (33:00), West Virginia-Iowa State (45:00) and more. Barton Simmons and Chip Patterson are joined by Brady Quinn for a wide-ranging discussion covering Notre Dame, Ohio State, USC and more. First, addressing some news with Oklahoma firing Mike Stoops (2:00) and West Virginia hitting the road to take on Iowa State (15:00). Then Brady Quinn joins the show (21:00), diagnosing why USC hasn't been able to close the gap with the elite teams in college football, discussing how Texas' upset of Oklahoma changes the Big 12 picture (31:00), the key to Notre Dame's strong start (34:00), why Dwayne Haskins has been more deserving than Tua Tagovailoa for Heisman Trophy love (40:45) and more. Barton Simmons and Chip Patterson recap the most significant results and fallout from Week 6 in college football. Takeaways and breakdowns included for Texas-Oklahoma (2:30), Florida-LSU (14:00), Notre Dame-Virginia Tech (19:45), Texas A&M-Kentucky (29:30) and many more of the biggest games from the weekend. Barton Simmons, Chip Patterson and Tom Fornelli compete to out-pick each other with the most against the spread and over-under winners. This week's slate includes: BYU-Utah State (8:30), Texas A&M-Kentucky (12:15), Oklahoma-Texas (16:20), Michigan-Maryland (22:20), Baylor-Kansas State (26:50), Miami-Florida State (28:50), Ohio State-Indiana (34:45), Navy-Air Force (38:30), Clemson-Wake Forest (41:25), Auburn-Mississippi State (47:15) and many more of the best games and sides for Week 6. Barton Simmons and Chip Patterson are joined by Dennis Dodd to preview the Red River Rivalry between Oklahoma and Texas. Topics include: Barton and Chip taking a look at the 247Sports Team Talent Composite compared to the results on the field in 2018 (2018), Dennis pitching the notion that Oklahoma's offense is better with Kyler Murray (21:00) and an update on the CBS Sports Hot Seat Rankings, including a new look at Urban Meyer and Jim Harbaugh (39:00). Episode brought to you by ZipRecruiter.com. Barton Simmons and Chip Patterson are joined by Bill Connelly for a discussion on advanced stats in college football and what the numbers say about the 2018 season so far. First, a look at the hot seat talk at Louisville ahead of this week's Georgia Tech game (2:00) and a reassessment of Auburn heading into this week's clash with Mississippi State (11:45). Then Bill Connelly of SB Nation and Football Outsiders joins to explain S&P+ (19:00), break down LSU's turnover luck (23:30), talk the difference between "best team" and "most deserving team," plus a lot more including how to evaluate Notre Dame (33:30) and where coaches do and don't use advanced stats in today's game (42:00). Barton Simmons and Chip Patterson recap the biggest results and storylines from Week 5 in college football. Barton has returned from being on the scene at Penn State, where Ohio State showed its championship caliber in storming back in the fourth quarter for the one-point win (2:00). Other topics include why LSU provided more reasons to believe its among the best teams in the country (21:00), Clemson's ceiling with its current quarterbacks (28:15), whether it's too early to buy into Notre Dame as a playoff contender (38:00) and much more. Barton Simmons and Chip Patterson are joined by Tom Fornelli of SportsLine fame for their weekly competition picking college football betting lines and totals. No lock fights this week, but a handful of lock agreements as the group breaks down Notre Dame-Stanford (9:30), TCU-Iowa State (16:30), LSU-Ole Miss (23:00), Florida State-Louisville (30:30), USC-Arizona (39:00), Washington-BYU (47:00) and many more from the Week 5 slate. Barton Simmons and Chip Patterson discuss Kelly Bryant's transfer from Clemson and are joined by CBS Sports Network's Aaron Taylor to preview Notre Dame-Stanford. First, why the numbers back up Dabo's decision to name Trevor Lawrence the starter (9:15) and the big-time SEC East showdown between South Carolina and Kentucky (17:50). Then Aaron Taylor joins the show with stories from the scene of ODU's upset against Virginia Tech (25:00), reasons why Notre Dame could be playoff-bound (31:45) and the offensive lines in the running for the country's best (40:00). Barton Simmons and Chip Patterson discuss a busy week of transfer-related news and hand out some superlatives for the first quarter of the season. After discussing Trevor Lawrence getting named the starter at Clemson (3:00), the unintended consequences of the redshirt rule in college football (13:30) and an early look ahead to Dan Mullen's return to Starkville in Week 5 (25:05), Barton and Chip hand out some superlatives for the first quarter of the season (34:00). Awards include most surprising/disappointing teams, the preseason predictions we want back (40:00), best coaching job so far and more. Barton Simmons and Chip Patterson react to the biggest games and storylines coming out of a wild Week 4 in college football. Topics include Alabama reaching mythic status (1:00), the crazy Stanford-Oregon finish and other bad beats (15:00), Barton's love for this Kentucky team (25:00), buying back into Texas (again) and sorting out the Big 12 (37:30) plus much more. Barton Simmons and Chip Patterson are joined by Tom Fornelli of SportsLine fame for their weekly meeting of the minds picking against the spread and over-under totals in college football. This week's showdown includes our first Lock Fights of the season, some Lock Agreements and breakdowns for TCU-Texas (7:30), Stanford Oregon (13:15), USC-Washington State (17:00), Wisconsin-Iowa (23:30), Notre Dame-Wake Forest (28:45), Washington-Arizona State (41:00) and much more. Use Promo Code "KICKOFF" when you sign up for SportsLine to get your first month for just $1.